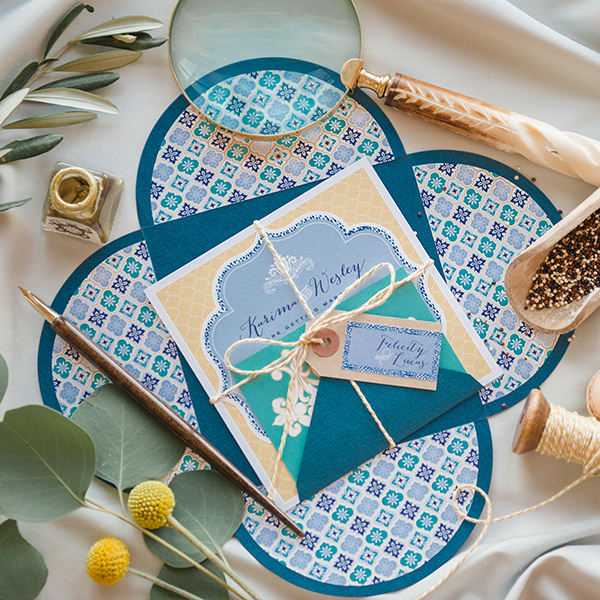 The Luna collection is a dazzlingly divine ensemble of the most gorgeous colour combinations to feast your eyes upon. 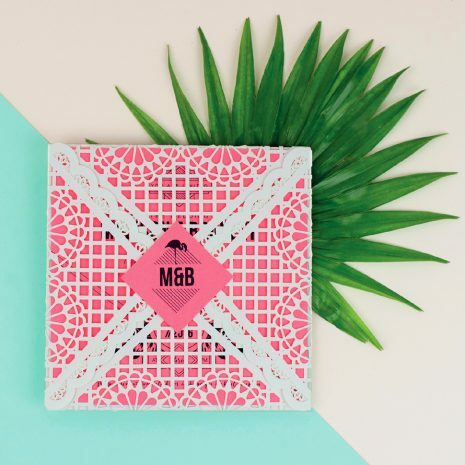 The main invite and monogram tag are printed on the very suitably named ‘Pastel Heart Attack’ cardstock which is so delicously bright it can‘t fail to create an instant wow factor! 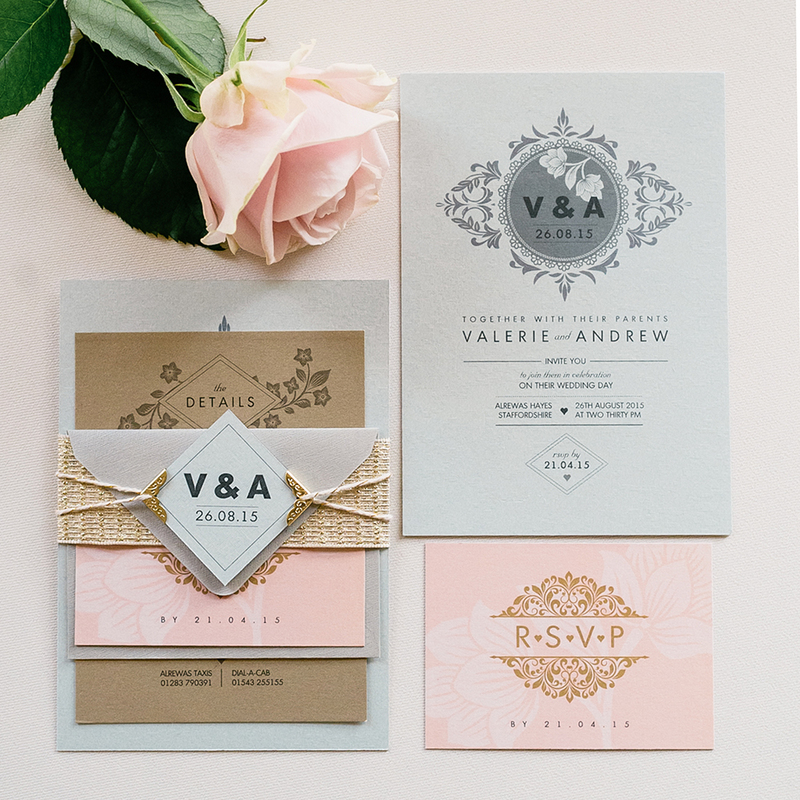 The design created to complement this unique luxury cardstock is bold and contemporary with its clean sans-serif fonts and geometric lines. The look is softened by the use of a secondary calligraphy font and stylish tropical leaves (and of course the much-loved flamingo). 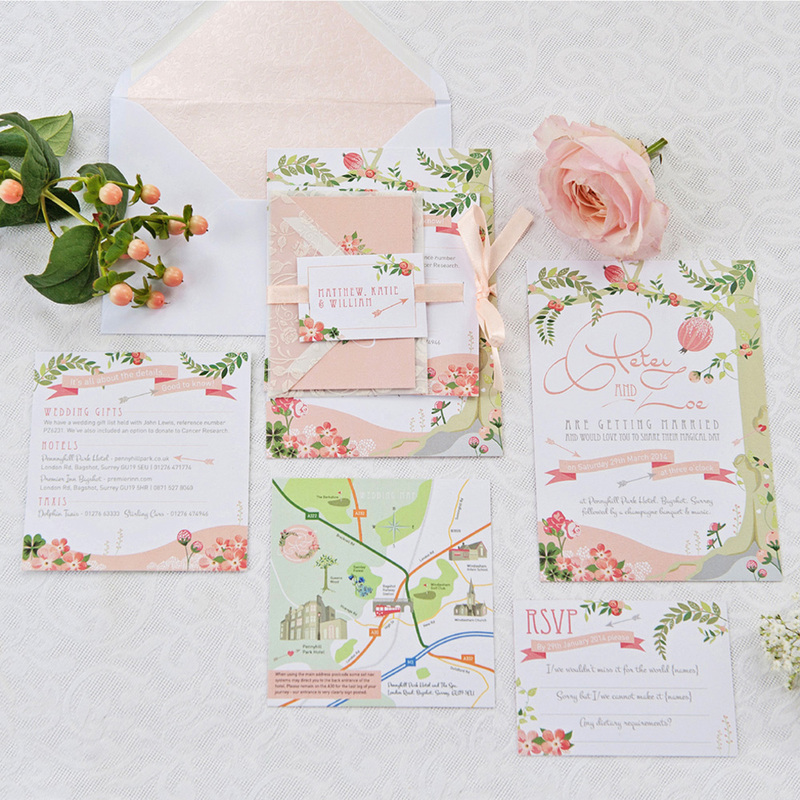 The invite, together with the pastel information cards adorned with hand painted flowers, pineapples and confetti, as well as the tastefully tropical RSVP card is presented in a stylish tactile laser-cut pocket – creating an overall charming memorable stationery suite. 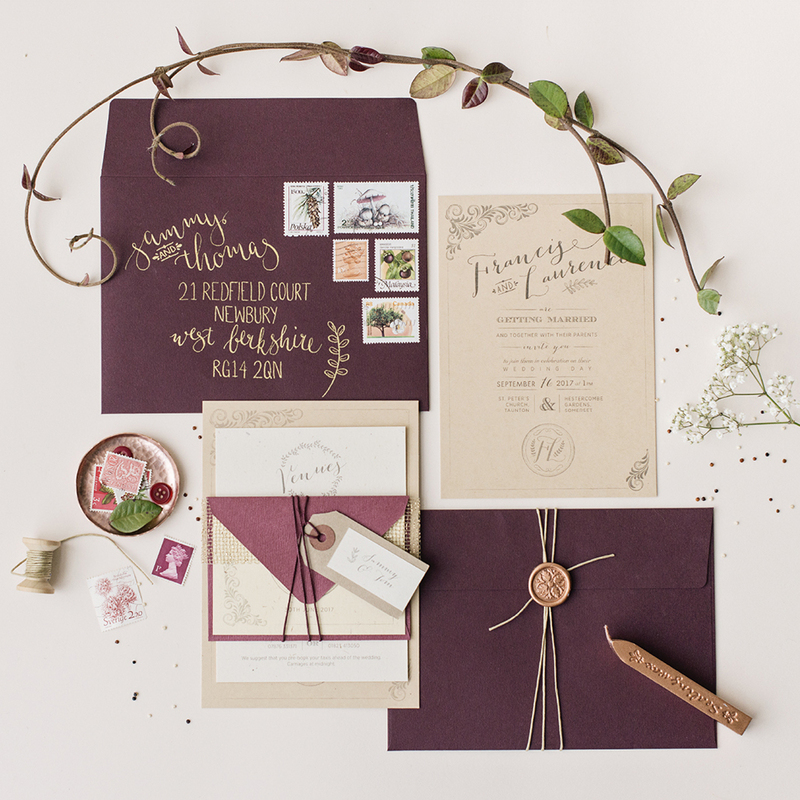 To see this wedding stationery suite in full please see the ‘Luna’ collection in the wedding portfolio pages. Sample packs include: Save the date, wedding invitation (neon paper), information insert, RSVP with return envelope and postage sticker, laser-cut pocket with neon monogram tag and also a white postage envelope with guest address label and flamingo seal sticker. Sample packs cannot be customised to your own details.